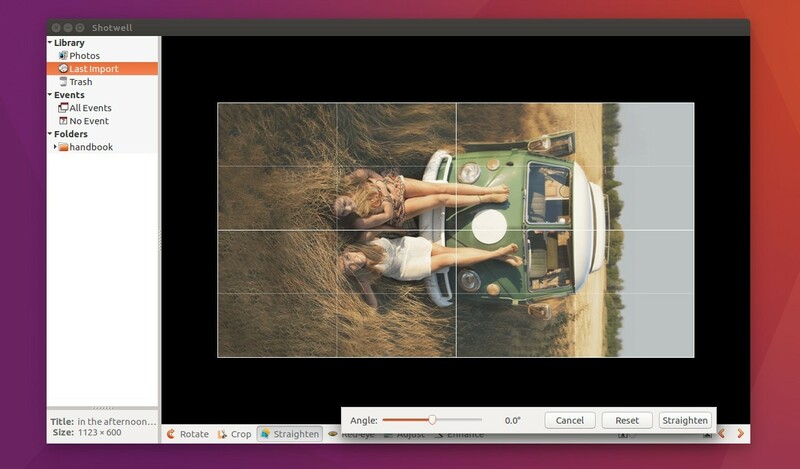 Shotwell photo manager has recently reached the 0.23.1 release. While Ubuntu 16.04 contains the old 0.22 release, you can now install the latest release and receive future updates through the maintainer, Jens Georg’s PPA. Various bug fixes and translation updates. 1. Add the maintainer’s PPA. 2. 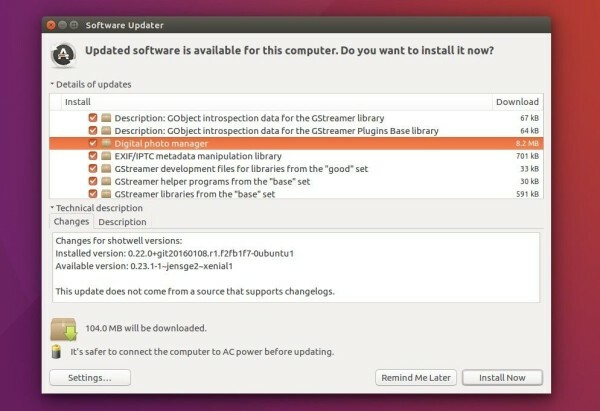 Launch Software Updater and upgrade Shotwell. Launch Software Updater, after checking for updates, you’ll see the new release of “Digital photo manager” available for upgrade under Other updates -> Ubuntu Base. i’vve update my version of shotwll to the new 0.23.4-1 , on a linuxmint 8 (Ubuntu Xenila based) distribution. And Shotwell stop at all. I’ve try a few times, and the same error appears. Would you help me in this issues?